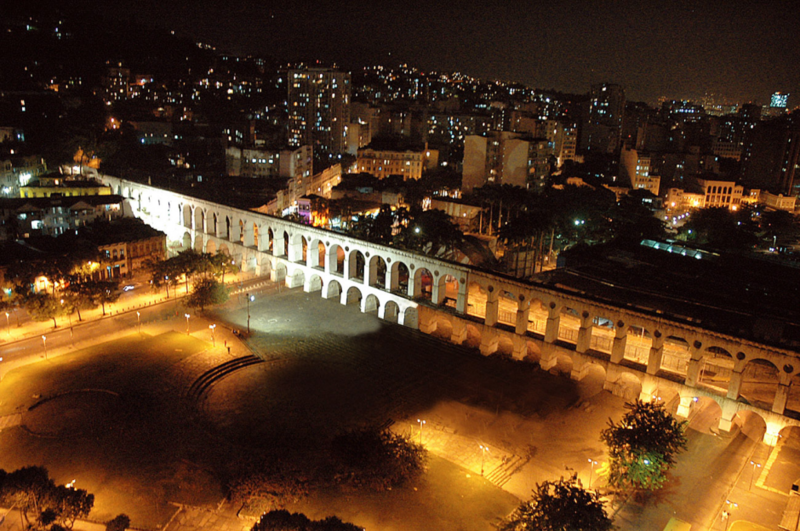 You’ve probably already heard of Lapa, its deactivated aqueduct being one of the most typical postcard images of Rio. The heart of bohemian Rio is well worth visiting and experiencing, from its street bars, to live music venues (whether indoors or out in the open), to just hanging out with old friends or new (which will certainly make). 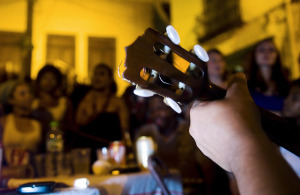 The district concentrates much of Rio’s cultural life. 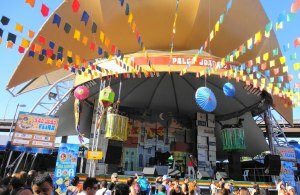 Starting with the Circo Voador, which moved from Arpoador to Lapa and introduced some of the most popular Brazilian musicians to nightclubs featuring all types of music. 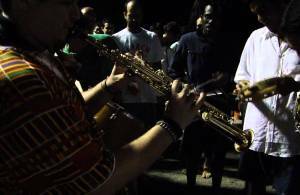 One of our favorite clubs is La Paz (Rua do Rezende, 82), from the same owners of Fosfobox, hosting some of the coolest parties in Rio. If you’re hungry before or after your night out, try Nova Capela, a traditional spot in Rio that has been serving meals since 1903 and is open during late hours. Make sure to taste the unforgettable codfish balls (bolinho de bacalhau) and the goat served with broccoli rice (cabrito com arroz de brócolis). (Av. Mem de Sá, 96). The district of Lapa offers a huge diversity of bars. Its streets are always crowded and there are parties for all styles and tastes. While we recommend you already leave the hotel with a place in mind, be open to enjoying the vibrant life that fills all of its streets. When you go to Lapa, it is not unusual to find yourself doing something completely different from what you had planned, and having just as much fun. You can check out some of the local bars here, but we’d like to suggest a couple that we think are not to be missed, namely Arco Íris and Sinuca da Lapa, known of for their perfectly chilled beers.